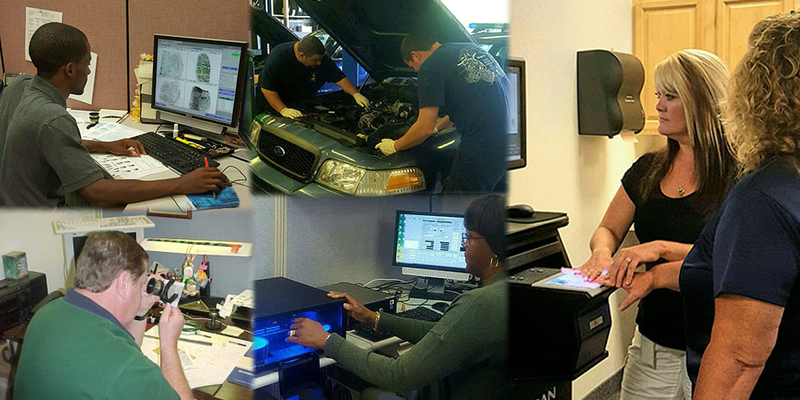 The Delaware State Police employs over 200 civilian (non-merit system) employees who support the uniformed troopers by performing clerical functions, telecommunications, fingerprint identification, criminal history verification, victim services, automotive maintenance, administrative positions such as human resources, information support services and fiscal management as a well as positions in our crime lab. The Delaware State Police no longer accepts paper applications for any civilian, cadet, intern or recruit trooper positions. Please go to www.jobaps.com/DSP, to create your new user account and select the appropriate application to be filled out. An official application will need to be completed via the online application website. Please contact Ms. Patricia Penrose at 302-672-5473 for any questions regarding any civilian employment applications. 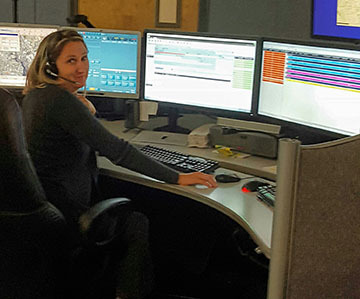 Telecommunications Specialists in our Communications Section work in the Public Safety Answering Points (911 centers and HQ Communications). They perform duties of answering emergency calls, relaying information to uniformed officers via computers, two-way radios, telephones, and ensuring accurate communications with other agency emergency responders….